Pairc Cois Feile was opened in 1999; it is a much used amenity for the people of Abbeyfeale and its surrounding area. The Park envelopes 28 acres of land and is located on the Killarney Road. 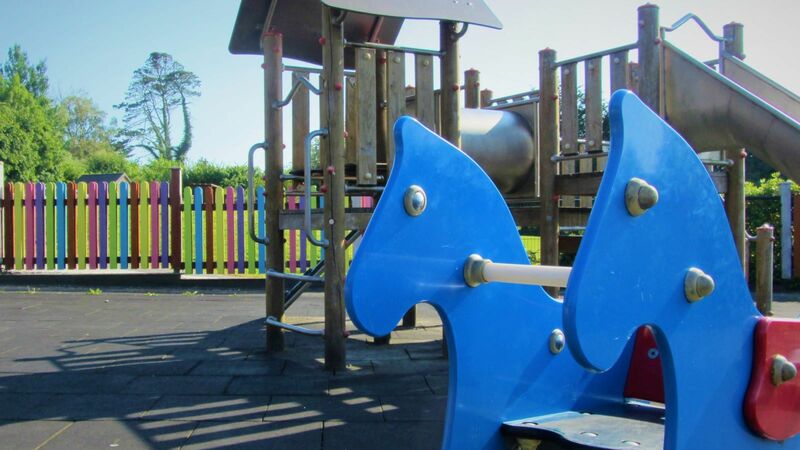 The award winning Park contains, a junior playground, a basketball court, an all weather floodlit playing pitch, a car-park, a duck pond, forested areas, an administration building, a store house and in excess of one mile of tarmac walkways. Recently a picnic area has been further developed within the grounds and also a Fairy Village. 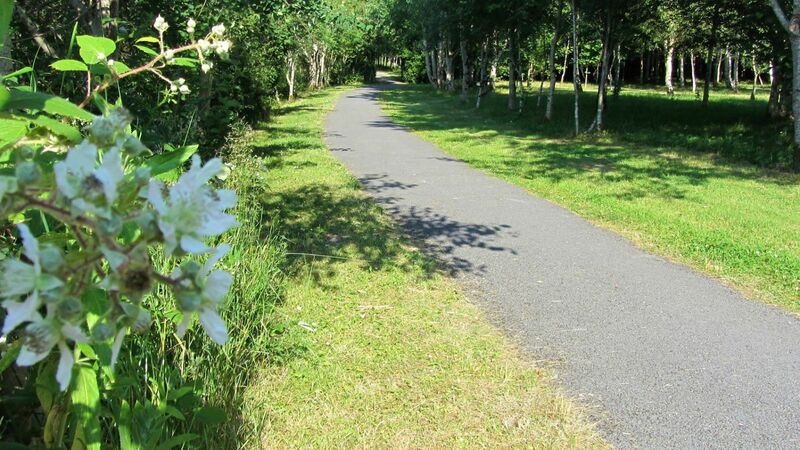 The Great Southern Trail (GST) is a unique 96km (60 miles) stretch of countryside in West Limerick/North Kerry. 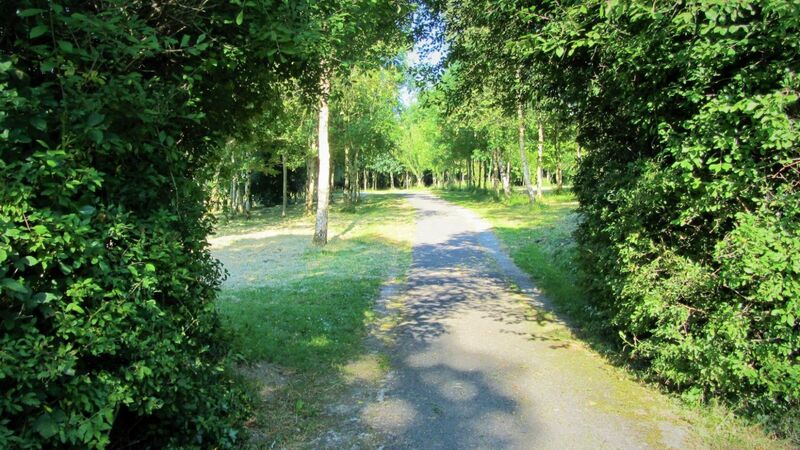 It is the route taken by the Limerick - Tralee/Fenit railway line, which opened in stages between 1867 and 1887. Most of the route closed between 1975 and 1978 but remains the property of CIÉ (the National Transport Company). Much of the development as a recreational amenity has been undertaken by the GST Ltd. which is a voluntary group assisted by various Local and State agencies. The GST is suitable for off road walking and cycling along 36km of the Co. Limerick section of the route between Rathkeale and Abbeyfeale. In Co. Kerry a short stretch has been developed near the Lartigue Museum in Listowel and work has commenced on the Tralee-Fenit section. The Southern Trail is generally a Class 2 walking and cycling trail. While this trail can be cycled - it is necessary to dismount to open gates along the route. See our local activities for bike hire. Purt Castle, Caisleán Phort Trí Namhad is a Geraldine castle situated in Abbeyfeale, County Limerick, Ireland. The castle is situated about 2.5 km northwest of the town of Abbeyfeale, on the northbank of the Feale. The town has its roots in the twelfth century when Brien O’Brien founded a Cistercian abbey in 1188 on the banks of the river Feale, hence the name ‘Abbeyfeale’. The abbey became a cell of Monasternanagh in the barony of Pubblebrien in 1209. The main feature of the square in Abbeyfeale is the statue of Fr William Casey. Fr Casey was the parish priest from 1883 to 1907 who helped the tenants farmers fight against their landlords. He also became a good friend of Michael Davitt and formed the first Land League group outside of Mayo. The fight was about the “Three F’s” – Fair rent, Fixity of tenure and Freedom of the tenant to sell his interest in his holding. If you are interested in horse & pony racing, this is definitely one to go to see. It takes place in the nearby village of Duagh. Many locals have their horses take part in this weekend & is always a great weekend well spent. They usually host the races on the last weekend of June or first weekend in July. We have an annual Traditional Music festival in Abbeyfeale on the May Bank Holiday weekend every year with the past 23 years. This brings many people to our lovely town. We have sessions in the bar over the weekend as well as a busking competition on the Friday night. It always brings a great buzz to the town & is something everyone will enjoy. A singing weekend that is not to be missed if you love Irish songs & story telling. A great weekend organised by the local West Limerick Singing Club in remembrance of Gary McMahon. ‘Craic agus Ceol’ is definitely on the agenda for this weekend; Most enjoyable to sit back, relax and enjoy the songs & story telling from locals & visitors. Fitzgerald’s Farmhouse and Equestrian Centre have a wide range of horses suiting both the beginner and advanced rider. 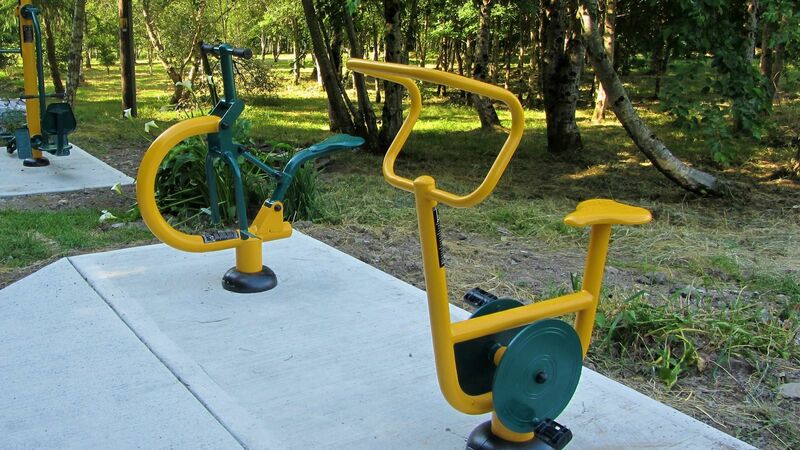 They cater for every age. Learn all the formalities of riding in a fun relaxed manner. They have a two kilometer trek bordering the land on which you can walk, trot or canter while taking in the beautiful views. For the more experienced rider there is a challenging cross-country course which includes banks and ditches. At Fitzgerald's they specialize in catering for families, for those parents who are not as “horse-mad” as their children. They run pony-camps every Tuesday, Wednesday and Thursday throughout the summer where parents can relax for the day in the knowledge that their children are having a lot of fun and being well looked after. Fitzgerald's is only a thirty- minute drive from the beach they also offer days at the beach. After an amazing trek along the beach, you can go swimming with the horses. This is a truly special and unique experience. Hiring bikes in order to cycle the Great Southern trail greenway or any of the looped trails is both convenient and affordable. Pedal Pursuit Bike Hire supply the bikes and equipment at whatever point you wish to start from. If you want to be collected simply phone or text us where you are on the trail and we will collect you and bring you back to where you started. The Crazy Cave Activity Centre is Co. Kerry’s number 1 house of fun. Located in the world famous Crag Cave Visitor Centre, Crazy Cave covers 2 floors and has a wide range of fun filled areas. An all weather location Crazy Cave is ideal for children up to 12 years of age and is fun and healthy! Kids of all ages enjoy the Mega Slide, indoor sports court, climbing frames, ball guns, Crazy Maze, Rope Bridge, spiral slide, ball juggler and ball pools. Suitable for children from 0 – 12, there is something fun for the whole family! Take advantage of the array of local golf courses situated near our hotel. For the past 21 years, over 4 million happy satisfied customers have experienced a splashing good time at the Aqua Dome. They have enjoyed the splash of the waves, the speed of the rapids, chilling in our whirlpool spas, keeping fit in our gym and relaxing in our adult only sauna health suite. Experience for yourself all the fun and laughter the Aqua Dome has to offer! The Playdium is the latest addition to Co. Kerry’s family & child friendly all weather facilities. It is the largest & most modern facility of its kind in the county and is at least on par with anything operating in Ireland today. Soft Play Facilities provide children from birth to 12 years with a safe, supervised & comfortable facility for play, exercise & socialization in a warm, dry and comfortable environment. The Cliffs of Moher are located at the southwestern edge of the Burren region in County Clare. They rise 120 metres (390 ft) above the Atlantic Ocean at Hag's Head, and, eight kilometres to the north, reach their maximum height of 214 metres (702 ft) just north of O'Brien's Tower, which is a round stone tower near the midpoint of the cliffs that was built in 1835 by Sir Cornelius O'Brien. From the cliffs, and from atop the tower, visitors can see the Aran Islands in Galway Bay, the Maumturks and Twelve Pins mountain ranges to the north in County Galway, and Loop Head to the south. The cliffs rank amongst the most visited tourist sites in Ireland and receive approximately one million visitors a year. The closest settlements are Liscannor (6 km south) and Doolin (7 km north). Always a great day out! The Listowel Racecourse is located adjacent to the town and is within easy walking distance of the town centre. They have meetings in June & September. Widely renowned as the most scenic racecourse in the world Killarney Racecourse offers the best in racing, great entertainment and a wonderful atmosphere making it a great day out. Races are held every May, July and September. Grade-one race track hosting 18 yearly fixtures, with a panoramic restaurant and private suites. LEENS HOTEL ABBEYFEALE, The Square, Abbeyfeale West, Abbeyfeale, Co. Limerick.